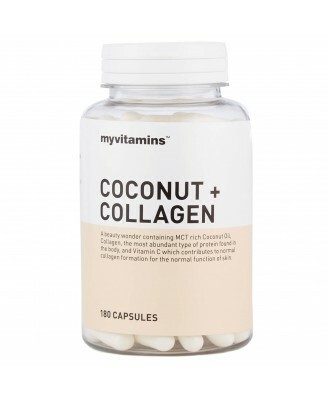 Coconut and Collagen is our expertly formulated beauty supplement containing a unique blend of Coconut Oil, Collagen and Vitamin C which protects against oxidative stress. This has seen in research to help reduce the skins sign of ageing. 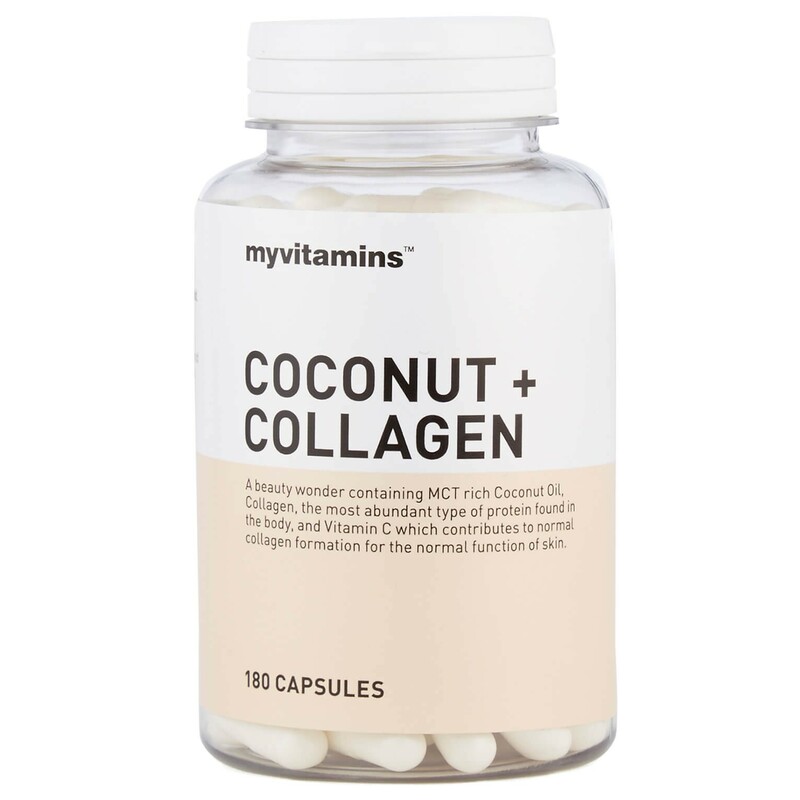 myvitamins Coconut and Collagen tablets contain 100% RI* of Vitamin C along with 500mg of Coconut Oil and 500mg hydrolysed Collagen. Hydrolysed collagen is the most effective form of collagen as it is the most readily available, easily digested and preferred form by the body. The addition of Vitamin C helps to protect the skin against oxidative stress caused by free radicals, and the added benefit of Coconut Oil boosts medium chain triglyceride (MCT) levels within the body. Coconut Collagen tablets are an ideal health and beauty supplement for those looking to boost collagen levels to contribute the health of their skin. To be taken as part of a varied and balanced diet and a healthy lifestyle.